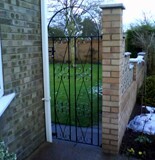 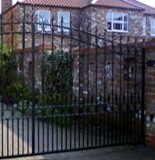 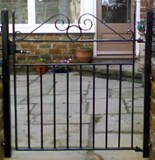 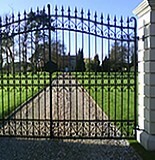 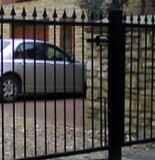 Do you want to stand out from the crowd and have an ornamental commercial gate outside your premises. 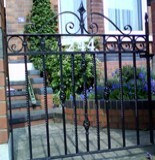 These can be accepting to nearby residents if your premises is within a residential area. 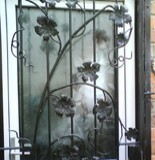 They can be as elaborate as you want and Lincoln Metalcraft will advise you whether your design is suitable for your requirements. 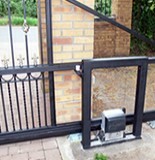 These can be manually operated by one member of staff or if you wish, Lincoln Metalcraft can automate the system to speed up the entry and exit to your business. 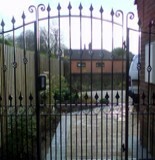 For further information about our services or a no obligation quote, please click on the link below.